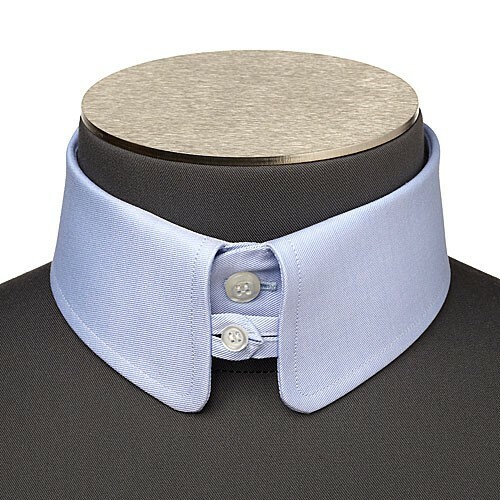 Similar to the English collar with rounded points and a slightly retro look. This collar suits more formal shirts. The tab between the points gives more volume to the tie and makes it stand out. Similar to the Italian collar but with two buttons, the Roman collars’ collar band is slightly higher and therefore makes space for a slightly larger tie knot than on the standard Italian collar. This collar is very versatile and can be worn with or without a tie.